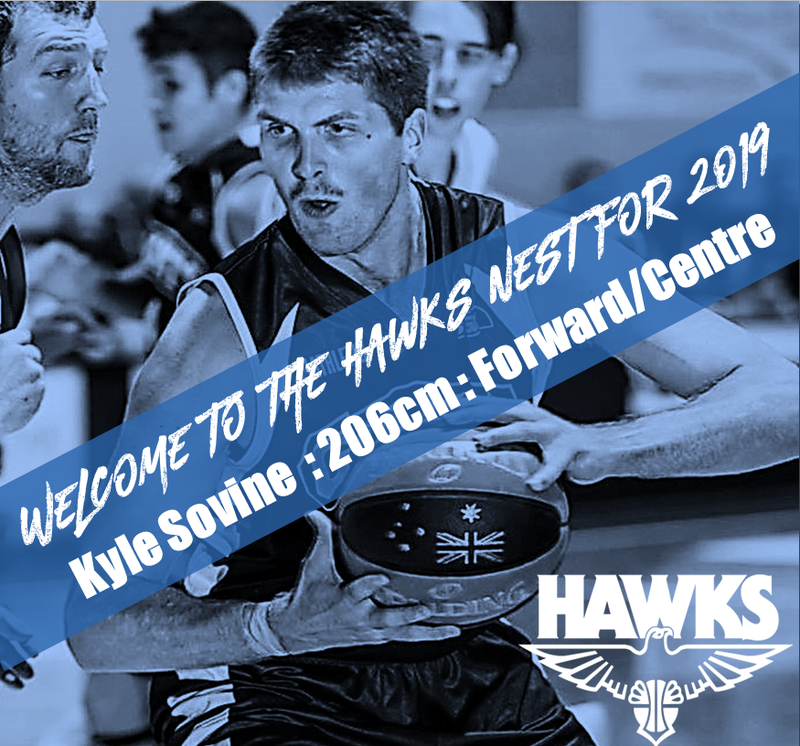 Perry Lakes Hawks are pleased to welcome Kyle Sovine to our MSBL team for the 2019. Kyle played for the Goldfields Giants in the 2018 SBL season and is a 206cm forward/centre. “It feels great to be a new member of the Perry Lakes Hawks and I am excited to play for a Club with many Championships, a great coaching staff and a great culture. I cannot wait to arrive in Perth and get the season under way. Let’s Go Hawks! “ , Kyle said. Kyle will arrive in Perth in late February and the season kicks off for the Hawks in a re-match of the 2018 Grand Final against the Joondalup Wolves on Friday 15th March at the Hawks Nest when we will unveil the 2018 Championship Banner. Follow us on Facebook, Instagram and Twitter to keep up to date on all that is happening at the Hawks.